Alcatraz is the number one tourist attraction in San Francisco, and one of the hardest to get too. It is free to enter Alcatraz Island, however the 10 minute ferry to the island has a fee. In busy times of year, you will find it hard to get to the Alcatraz prison and island, if you don't book a tour or book early. We didn't book early, and tried to go when we visited in August one summer. That didn't work out for us, as we couldn't get tickets to the Island and missed out on it. It is advisable to tour the prison with the audio tour. You will get a better feel for the place. Also many people suggest taking the night tour. It gives you a whole different perspective, and you can enjoy the views of San Francisco on the way back! 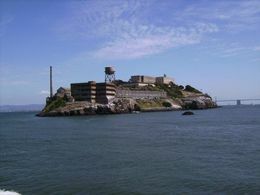 San Francisco has numerous attractions but probably the most popular would have to be the Alcatraz Island. 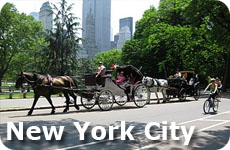 With its long history and notorious reputation, it does not come as a surprise that the "Rock", the moniker of this National Historic Landmark, draws thousands of visitors each year. Reachable by a ferry service at Pier 33, this small island in San Francisco Bay used to be a military fort and prison before it became a Federal Penitentiary in 1934. The most dangerous of criminals, like Al Capone, were made to serve their sentence in Alcatraz, isolated by the cold and strong currents of San Francisco Bay. After the closure of the facility in 1963 due to high maintenance costs, a group of Native Americans occupied the island. Alcatraz allows its visitors a glimpse of its past and the life of its inmates. An eerie feeling overcomes you as you visit the deserted and damp prison cells. Perhaps this is the reason why the island also has a reputation for being one of the most haunted places in America. Numerous accounts of inexplicable happenings and Alcatraz haunting have been published. Despite its bleak history, one can't help but feel hopeful when restoration work was started on the island. The historical gardens that were neglected when the island was abandoned are now being restored to its former beauty. Many rare species of plants that grow abundantly on the island are now are being protected. Alcatraz is also now a breeding ground for many sea birds and marine wildlife. So whether you are in for the history, a scare, or sightseeing, be sure to check out Alcatraz. Make a reservation ahead as tickets can get sold out. It is also advised to go there after lunch or bring some food as there are no restaurants on the island. Don't miss out on seeing Fisherman's Wharf while in the San Francisco area. Some people find it touristy, we found it touristy and charming. Take a San Francisco City Tour and Alcatraz tours together to make sure you see all of the exciting and awesome attractions in San Francisco. 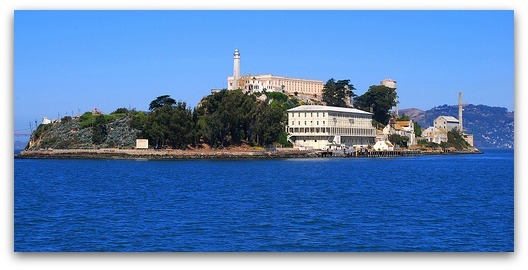 Includes a city tour, ferry tickets and an audio guided walking tour of Alcatraz prison. Take a San Francisco Tour by land, then an air tour by seaplane, and finish with trip sailing on a Catamaran. Includes transportation to Alcatraz. What a better way to see all of what San Francisco has to offer in one day! The Farmers Market located next to The Grove Shopping center, is a great way to spend a lunch time in Los Angeles, California. 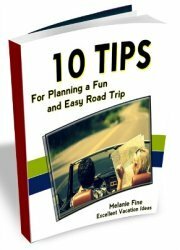 Consider it for your next California Vacation. 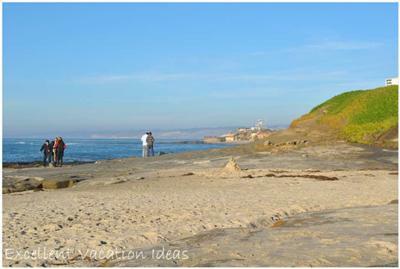 Beautiful La Jolla Beach is a great California Vacation idea. 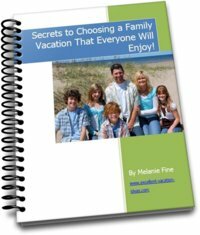 Located in Southern California, in the San Diego area of California, it is an excellent idea for a romantic or family vacation.